First up –lower your bids. This results in a lower maximum CPC that Google will charge. So you’re essentially lowering your average click to match a limited budget. This might mean that your rank position could drop but you would actually be getting more traffic out of the deal because you will be able to afford more clicks with the same budget. 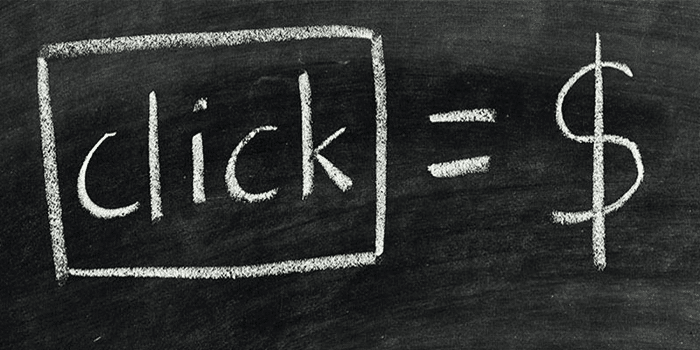 More clicks = more conversions. Happy you! Start with a small change by lowering by no more than 25%. This will help you to keep track of the impact of the adjustment a lot easier. Aim for Second and Third Place? Now this is going to sound crazy but you don’t want to bid for position #1. What? Yes, of course the higher ad rankings certainly get more clicks, but the top spot is not necessarily always the best spot for conversions. While it may seem good to be up there in first position – your leaving yourself vulnerable for, “happy clickers” People who click on ads for reasons other than converting. You really want to target spots 2-3. You’re looking to hook the quality clicks. Even if you do have a gigantic advertising budget you don’t want to try to outbid your competitors but rather put your attention on increasing your conversion rates. Higher conversion rates will ultimately give you the best ROI when you have the right sales process. Take my word for it – position 2-3 will deliver the greatest ROI. Are you tracking your PPC ROI? Why not? There are many people who are not tracking the impact of their PPC campaigns. They are just throwing money at Google Adwords and hoping for the best. You would never do this with any other investments so why neglect one of the most vital elements of your business. You have to track your conversions. You will be able to save money when you truly understand how much you’re making from your efforts and what you are spending to get each conversion. You must have a formula in place to be able to calculate your success and challenges in your PPC advertising. 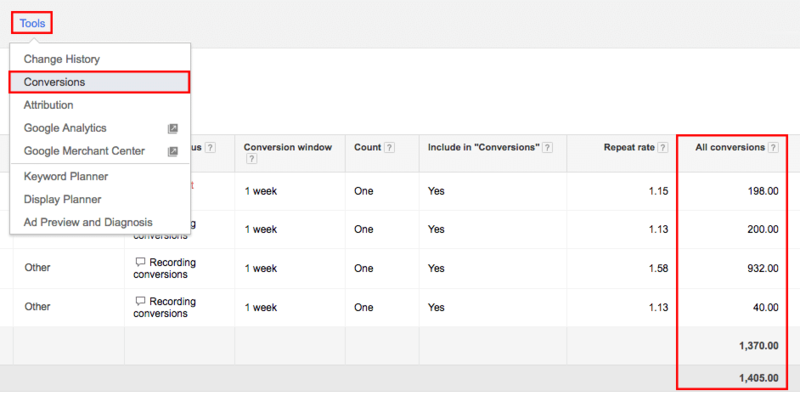 You must use the “Tool and Conversions” menu option to set up conversion tracking for any form submission received. You must also track your phone calls. Your sole aim is to increase your click through to conversion rate. You want to know that you are doing everything in your power to ensure maximum conversions. 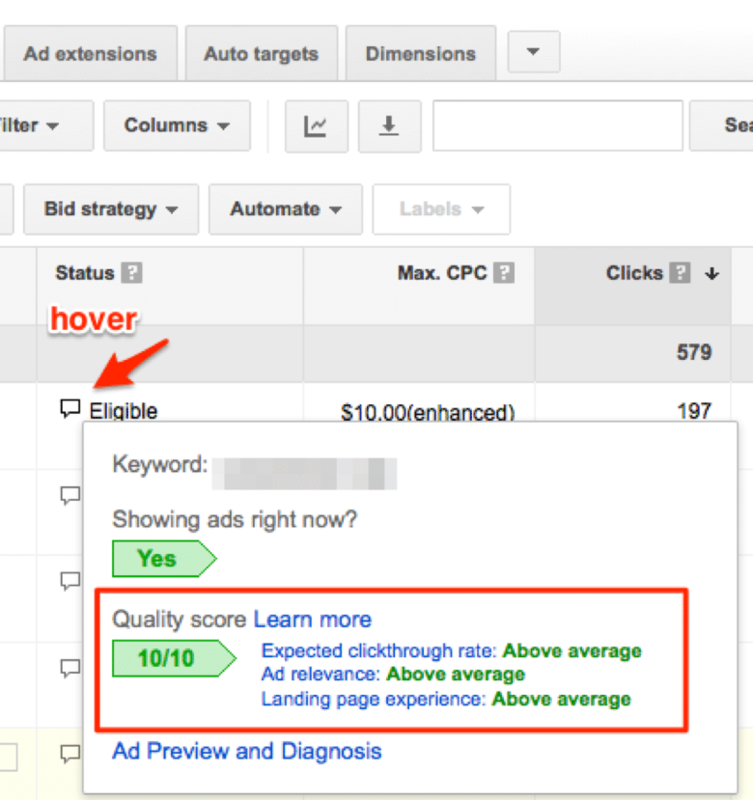 You want Google to give you the highest quality score so your PPC rate gets lower. And the way you go about that is to split-test your ads and optimize your landing pages using A/B testing to ensure your visitors turns into quality leads. So take yourself off to Google AdWords and log into your account, then click on “Campaigns”. Choose an ad group and click on the “Ads” tab. When you have set up at least two ad sets you can test them against each other to see which one is performing better. You can A/B test (split-test) four elements of the ad –the title, headline, first and second line. These ads are for the same landing page (you don’t want to change that). Google then will show each one 50% of the time so you can make a comparison to see which one is the racehorse. Which one has the better CTR and which has the lower cost-per-click – hopefully it’s the same one. Make sure the ads are very different to each other as this will make for better testing. You can make a whole range of different ads to test against each other in the same “campaign.” You will keep making variations until you find your winner. But always make sure you are getting in enough significant data to make your final decision. Yes, daily. You must check the relevancy of the keywords you have chosen for your campaign. You simply go to the keywords tab and hover over the quality score speech bubble for your chosen keyword or phrase and it will tell you how it’s performing. Those that are operating at “below average” must be removed to improve your quality score and CTR. This feature allows you to target your ads to people who have show an interest in businesses in Minneapolis. You can choose to have your PPC ad appear at a physical location or location of interest (or both locations). 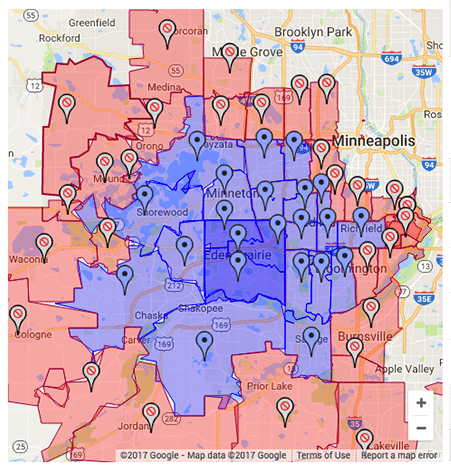 When you can target a specific geographic area, like Minneapolis, for your ads they become a lot more relevant and it will lead to an increase in traffic. You can also exclude all locations that border your geographic location parameters so that your ad does not show to an audience that will not be able to make use of your offer. The great attributes of PPC Advertising is that it’s a predictable way to drive traffic to your website for lead generation. You can always set the parameters of how much you are prepared to spend and how many visitors you wish to target and in which location. You can drive prospects to your website in hours using PPC and can see results very quickly. If you wish to scale, once you’ve refined your cost per conversion you only have to raise your budget or target more keywords instead of creating more content. Do you want to grow your business by adding PPC into your overall strategy but are nervous about how to execute a campaign effectively? We can help you. We’ll show you how to include Pay-per-click advertising into your long term marketing plan. Book A Call With One Of Our Marketing Experts for FREE advice today!